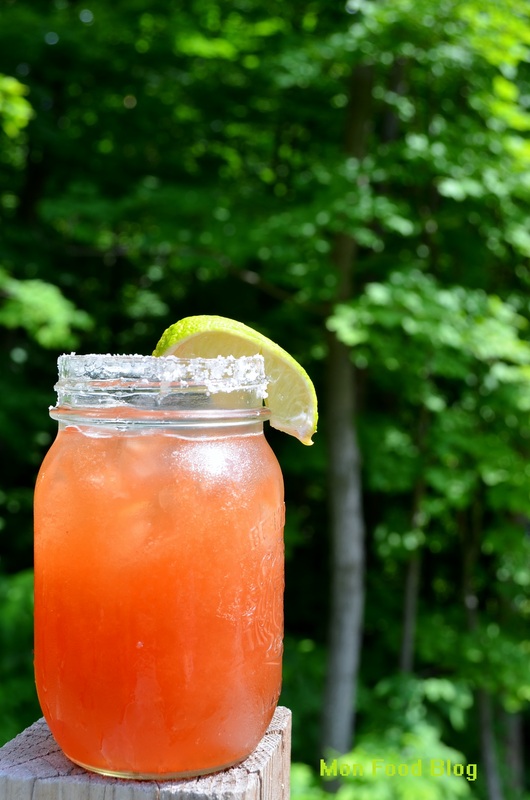 There is nothing I find more refreshing on a warm Sunday afternoon than this little Mexican delight called Michelada. It is a concoction of beer, tomato or Clamato juice, lime juice, seasonings and hot sauce served in a salt-rimmed ice-cold glass. It is a known hangover remedy but you certainly don’t need to wait to be hung over to slurp it down. You can omit the tomato or Clamato juice altogether if you prefer. The result will still be delightful. 1. Rim a glass with salt. 2. Add a good amount of ice cubes. 3. Fill the glass about 1/4 to1/3 with tomato or Clamato juice. Add the lime juice, the Worcestershire sauce, the Maggi or soy sauce, the hot sauce and fill the rest with cold beer. Great photo. Great drink. I pinned it on my cocktail board. I always like seeing posts I can do that with so thanks. Thank you so much! I am one happy guy!